The Award Jury Meet of the 8th CMS VATAVARAN was held from August 26th to 28th, 2015 at the Le MERIDIEN, New Delhi. An illustrious group of 11 personalities from cinema, film festivals, media, environment and wildlife sector were a part of this award jury that decided the awardees from the 75 nominated environment and wildlife films of the 8th CMS VATAVARAN. The Award Jury Meet was held for three days for 6 hours each day, where the Jury watched all the nominated films in 8 categories. This award jury was the final stage in the selection process, which was preceded by the Peer Review and Nomination Jury in May and June respectively. In all, this Jury decided 23 Awards in 8 Indian Categories (ranging from Rs 50, 000 to Rs 1,5000 each) and 5 International Categories. The Jury also selected two Best of the Festival Awards in Indian & International categories each. 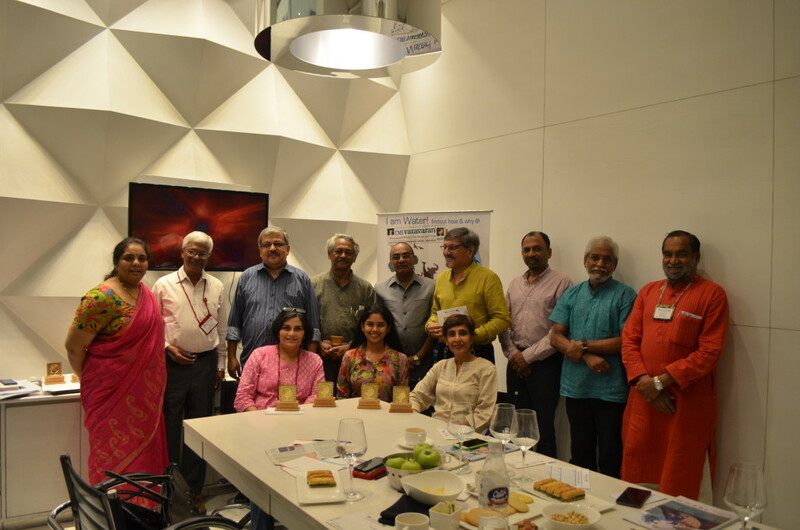 The 8th CMS VATAVARAN Jury Committee comprised of 11 eminent personalities from widely divergent sectors and streams. The National jury was headed by Shri Amol Palekar, Eminent Actor, Director and Producer, while the International Jury was headed by Mr Girish Kasaravalli, Film Director. Le MEREDIEN was the Venue Partner for the Award Jury Meet of 8th CMS VATAVARAN.